Although not to everyone's taste, the Guinness Storehouse at St. James's Gate Brewery in Dublin is a must-do for visitors. You get to discover how Guinness is made, and enjoy a 'tasting experience' where you're taught the best way to drink it. There's also a bar at the top of the building that gives amazing 360 degree views of the city. This cathedral is the largest church in Ireland, and has a beautiful park located next to it. 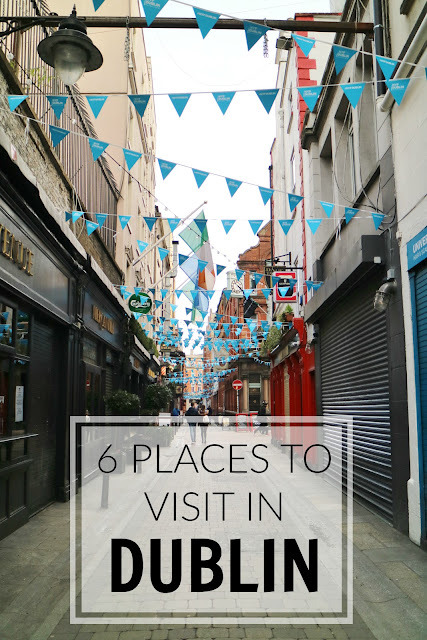 It's one of the most visited sights in Dublin. Another popular place to visit is Trinity College, the University of Dublin. The grounds are a beautiful place to walk around, and the architecture is stunning. A highlight of the university is the library, as the Long Room of the Old Library is considered by many to be one of the most beautiful libraries in the world. Located right in the centre of the city, Dublin Castle is a beautiful piece of architecture. Over the years the castle has been used as a government building, and today is a well-known landmark in Dublin. Close to Dublin Castle, the City Hall is another beautiful building right in the centre of the city. A lovely way to spend some time in Dublin is by walking along the River Liffey. Along here you'll find the Ha'Penny Bridge, a famous pedestrian bridge due to its unique design. The best (and the easiest) way to experience more of Ireland is to hire a car. A couple of great places to visit include the Wicklow Mountains National Park, and the slightly further afield Cliffs of Moher. Ah these are such great tips - bookmarking this for when I finally get to Dublin!